Graphic design students at Clarendon Sixth Form College have taken on the task of designing the branding for an exciting new space for budding entrepreneurs. Tameside Council, the driving force behind ‘St Petersfield creative and digital quarter’, gave students a brief to design the branding and promotional materials to launch the project. The students will design a range of logos, web pages, t-shirts, vinyl banners, buildings hoardings and other typographic elements as part of the brief and it will play a major part in their coursework. 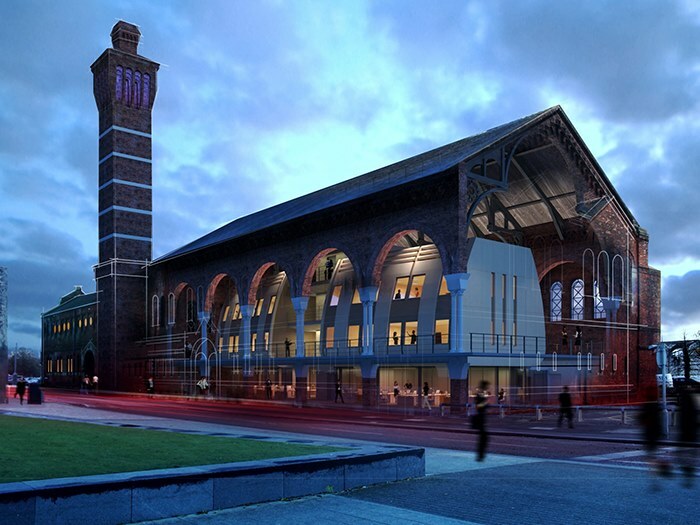 The creative and digital quarter, which will be based around the newly refurbished Ashton old baths, is part of a strategy by Tameside Council to incubate new digital businesses and create jobs in the local area. The St Petersfield creative and digital quarter will launch in mid-2019, with students’ work taking centre stage. To find out more about graphic design courses at Clarendon Sixth Form College, call 0161 908 6800.